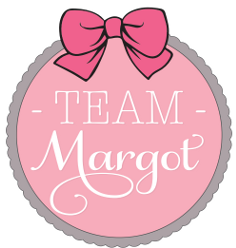 Earlier this evening, I received an uplifting email from a complete stranger who learned about Margot today and came away inspired to spread the word. Thank you for sharing Lauren and also for agreeing to let me post your email below. I sat in the waiting room of a a surgery clinic in Epsom today. 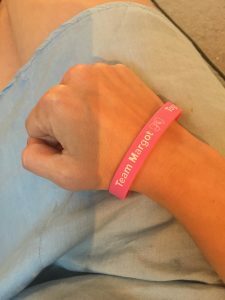 My mum picked up a small pink Team Margot wristband. She passed it to me and said ‘wear this’. As I’m sitting on the sofa and have just looked down and noticed I am still wearing the pink bracelet. 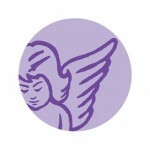 I have just read your blog on the teammargot.com website. I am sitting here heartbroken. 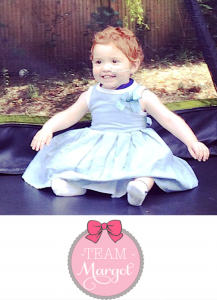 I can’t even put into words how sad I am about beautiful Margot and this terrible disease. If you would like to see a Team Margot display box like this in your local doctor / dentist surgery or waiting room (and you think that they will agree to having it on display! 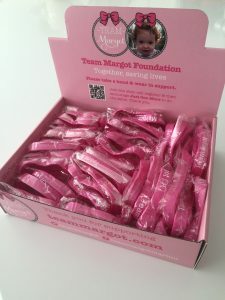 ), please email info@teammargot.com with your name & postal address and we will send you a box and wristbands. When the box is empty, just email us again for a refill. It’s a ‘no money’ affair – we simply want people to take a wristband and wear in support. Thank you. As I am reading your blog I am clutching at straws thinking, surely, there will be light at the end of the tunnel for this family. The strength and hope you had at the time is so inspiring. I wanted to send your family an email just to say that you have the most beautiful….extraordinary….brave (the list is endless) daughter. I can’t even begin to imagine how hard of a time you had. I am sitting here literally lost for words. 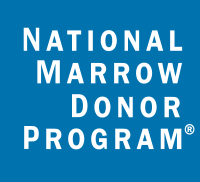 I registered as a stem cell/bone marrow donor over 2 months ago now and I will be sure to tell everyone that I know to do the same!!! My daughter turns one next Monday. I can’t even imagine what your family would have been going through. What a little solider Margot was. You are an extremely brave and amazing family and my heart goes out to you all.